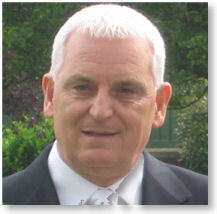 John Burkett is the principal solicitor at Burketts Solicitors. His area of practice is civil litigation in the County Courts, High Court Chancery Division and The Technology and Construction Court a specialist court, which deals principally with construction disputes. 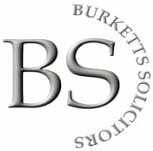 He also specialises in Personal Injury and Clinical Negligence matters and is recognised as a Senior Litigator of the Association of Personal Injury Lawyers of which Burketts Solicitors is an Accredited Practice. •	Are dedicated to providing a high standard of service. •	Will put your best interests first. •	Will provide clear, impartial and honest advice about your case. •	Will tell you if you will have to pay anything to pursue your case and, if so, how much. •	Will explain your legal position in plain language. •	Will keep you updated about all aspects of your case. •	Will consider other appropriate remedies as well as financial ones to ensure the case is run in your very best interest. This firm is not authorised under the Financial Services and Markets Act 2000 but we are able in certain circumstances to offer a limited range of investment services to clients because we are members of the Law Society. We can provide these investment services if they are an incidental part of the professional services we have been engaged to provide. Although the Law Society is a designated professional body for the purposes of the Financial Services and Markets Act 2000, responsibility for regulation and complaints handling has been separated from the Law Society's representative functions. The Solicitors Regulation Authority is the independent regulatory body of the Law Society and the Legal Complaints Service is the independent complaints handling body of the Law Society.